SSP offers premium quality FDA compliant and food grade seals and parts for dynamic and static applications. SSP's FDA compliant products are custom designed to your particular application and specifically engineered to handle a wide range of liquid products for the Pharmaceutical & Food industries. We produce Food Grade seals, gaskets and parts in a number of FDA compliant materials. These materials are of special importance to the Food Grade, Beverage and Pharmaceutical Industries. Most common Food Grade materials are Virgin PTFE, Polyurethane, EPDM, Silicone and Viton. Other food grade materials are also available on applications. In the food grade, beverage and pharmaceutical industries it is most important to choose the correct material for your particular requirements. Our food grade rubber components for the Food and Dairy and Pharmaceutical industry include; standard and non-standard sized O-rings, gaskets, specialist inflatable seals and custom rubber molded seals. In addition to food grade elastomers, SSP also offers a range of certified potable water materials which meet international standards for use in drinking water systems. "Up to 70% of the world’s fresh water usage is for agriculture purposes, meaning everything we eat impacts the water supply. This large water need has become a critical issue for the food and beverage industry. In the U.S., for example, there are serious water shortages in places like California, Arizona, Texas and Georgia. Lack of water impacts the ability to grow economically and sustain population growth. Since we can’t make or produce new water, it is necessary to conserve and manage water. As a major component of agriculture and manufacturing, companies consider good water management strategic to their business and a key competitive advantage with positive bottom line impacts, as well as being good for the environment." Our food, Pharmaceutical and Dairy material grades have been specially developed to provide high performance food grade seals with excellent mechanical capabilities and chemical resistance. Elastomer materials are available in several grades compliant with the requirements of the Food and Drug Administration (FDA). In addition, all certifications which comply with FDA & USDA regulations for material in contact with food per 21 CFR 177.1550. For example, in many filling applications not only the media being processed is to be taken into consideration, but the method of cleaning the equipment is important. 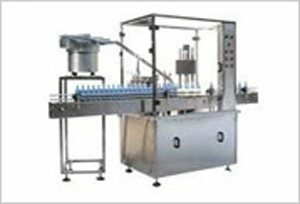 You may choose the right material for the fluid being filled but the cleaning solution may be too aggressive for that material, or the food grade part is being autoclaved. SSP offers a full range of sealing solutions for pharmaceutical and bio-analytical industries where both mechanical and chemical properties are crucial, and hygienic sealing capability is critical. SSP's grades of medical rubber have been specially developed to produce custom seals and parts which withstand a wide range of process media, potent active pharmaceutical ingredients (API's) and aggressive cleaning regimes used to clean pipe work and vessels. SSP material grades are Federal Drug Administration FDA and United States Pharmacopeia compliant, and provide excellent mechanical performance and solvent resistance. Many grades are also thermally stable at high temperatures, and ideal for use in applications that require prolonged high temperature exposure or experience Clean-in-Place (CIP), Steam-in-Place (SIP) and Stage II sterilization. Medical rubber sealing components include standard and non-standard sized USA FDA O-rings and gaskets. These are available in a range of material grades compliant with FDA and USP Class VI standards, offering a full range of custom seals for the pharmaceutical and biomedical industries. Some of SSP Manufacturing seals and custom parts are used in test portfolio supports clinical decision making in a wide variety of indication fields, including oncology, virology, cardiovascular, inflammatory and infectious diseases. As manufacturers of custom seals and gasket we comply with Food and Drug Administration (FDA) The Food and Drug Administration is the US Federal Agency responsible for ensuring that foods are safe, wholesome and sanitary; human and veterinary drugs, biological products and medical devices are safe and effective; cosmetics are safe; and electronic products that emit radiation are safe. Through its Codes of Federal Regulations the FDA provides a list of materials (Sealing Materials and Data Sheets) and chemicals that are approved for contact with foodstuffs. CFR 21.177.2600 describes the relevant regulations for SSP customs parts and seals. SSP offers an extensive range of materials that meet various international approvals and conformance requirements including FDA. Coupled with the latest engineering expertise, SSP can provide superior chemical sealing solutions for pumps, valves, autoclaves seals, pipe couplings and reactors, which meet or exceed your requirements. To meet demanding chemical sealing applications, SSP seals are made in a range of high specification materials capable of withstanding extreme temperatures and harsh chemical environments. Our seals, gaskets and parts are used in filling equipment, cappers, tablet presses, bulk liquid transfer, centrifuges, packaging machines, and pumps. If you have any questions about food grade seals and parts please give us a call and we'll help guide you to the material which best suits your needs. We have recently added FDA approved o-rings to our product list. These o-rings can be ordered in either black or white, 20 to 80 durometer, in standard, metric or custom sizes. We offer a wide variety of standard FDA materials: Buna, PTFE, Viton, EPDM, and Silicone. We recommend a wide variety of FDA compliant materials such as: PTFE, Delrin, UHMW, Peek, Polyurethane, Polypropylene, Nylon, Silicone ,Buna EPDM, FKM and various other materials certified to your specification.